The national minimum wage rate is currently £6.50 per hour and is uprated annually from 1 October in each year. We have had a minimum wage in this country since 1 April 1999. A more recent development has been the concept of a living wage. The rate is based on the Joseph Rowntree Foundation’s Minimum Income Standard research, which considers what income is needed to provide an adequate standard of living. They announced an increase in the national living wage on 3 November 2014 to £7.85 per hour, up from £7.65. The London living wage is set at £9.15 per hour, up from £8.80. Interestingly, Boris Johnson has been a strong advocate of paying the Living Wage and there are plenty who argue that the result should be a reduction in the number of people on benefit and an increase in productivity. There remains a fundamental problem of affordability for some business sectors and I am acutely aware of one on my doorstep. 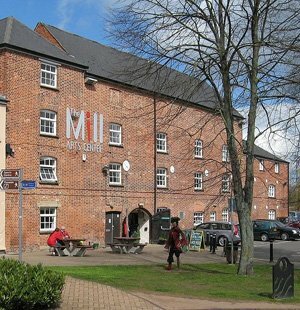 As Chairman of The Mill in Banbury, I preside over a local community organisation for which the wages bill represents almost half of our turnover. We put on performances, live and film; we have two bars and a café; we also provide a wide range of education classes; we run exhibitions and we let out our rooms for a great variety of community activities. Many of our activities are in evenings and weekends and our business is very volatile. As a consequence, we have a small core of full-time staff and a long list of casual employees who we call in when trade demands. We pay the latter the minimum wage £6.50 per hour. However, the complexities of holiday pay means that the effective hourly rate is quite a bit more than that. Interestingly, I see a tribunal is considering the impact of overtime on the rates paid for holiday pay and a bad outcome could see rises in real labour costs. However, returning to the issue of a Living Wage, increasing our hourly rate at The Mill from £6.50 per hour to £7.85 per hour would represent an increase of 20% to a large part of our wage bill and I suspect it would shut us down pretty quickly. We are not unique. I suspect it is the hospitality industry along with retailers and care and cleaning workers who are mainly on the minimum wage. At The Mill, our choice would be stark: put up our drink and food prices as well as show tickets and almost certainly see a reduction in our sales or shut up shop entirely. So, for our community-based organisation, an enforced increase in wage costs would lead to job losses and the closure of an institution that is well used locally. I don’t doubt our casual staff would welcome an increase in their hourly rate but I suspect they would rather have a job at the current rate than no job at all and I think that is the stark choice. This entry was posted in Politics and tagged living wage, minimum wage. Bookmark the permalink.